"Breeding Champions & Training Legends"
Autumn Breeze Kennel is a professional hunting dog trainer and breeder of German Shorthaired Pointers located in north central MN. 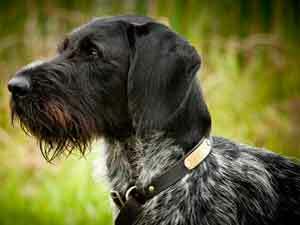 Over the years we have trained and developed many field and hunt trial champion gun dogs. We specialize in the breeding and training of German Shorthaired Pointers, but have worked with a diverse range of gun dogs encompassing many different breeds of pointers, flushers and retrievers. A great gun dog is not only a product of very selective breeding, it also needs professional gun dog training and obedience training. Autumn Breeze Kennel trains each hunting dog with a personalized approach based on the dogs temperament and socialization skills. By understanding each gun dog, we are able to focus on what needs to be addressed first and develop a positive training program. For thirty-plus years Autumn Breeze Kennel has been an active member of the North American Versatile Hunting Dog Association, or NAVHDA. Established in 1992, Autumn Breeze Kennel offers a full range of services for pointing and flushing gun dog owners and hunters. 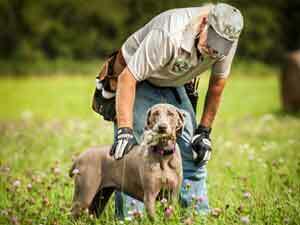 Ed Erickson is a professional hunting dog trainer who loves working with and training hunting dogs. As an avid sportsman and gun dog handler, he appreciates your love of the sport and the value of your hunting dog. 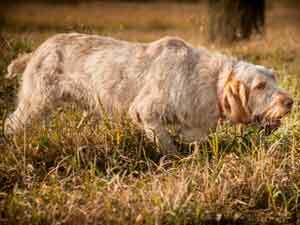 Autumn Breeze Kennel can help you achieve the hunting dog with the results you demand, whether it be gun dog puppy training, started-dog refresher classes, or annual refreshers for your seasoned hunting dog. Our training methods bring out the best in your dogs natural hunting instincts, and we enhance those hunting instincts to fully maximize your gun dogs hunting and obedience abilities. All animals in our kennel are current on rabies, kennel cough, Parvo, distemper series, and Corona Virus vaccinations. If you are searching for a professional hunting dog trainer in Minnesota, one with a proven history of training champion gun dogs, then consider Autumn Breeze Kennel. We know there are many good hunting dog trainers in MN to choose from, but we think our track record and testimonials from satisfied clients will speak for itself. "We are a member of NAVHDA and the VHDF, and an approved dealer for Ruff Land Kennels and all of your electronic collar needs!"